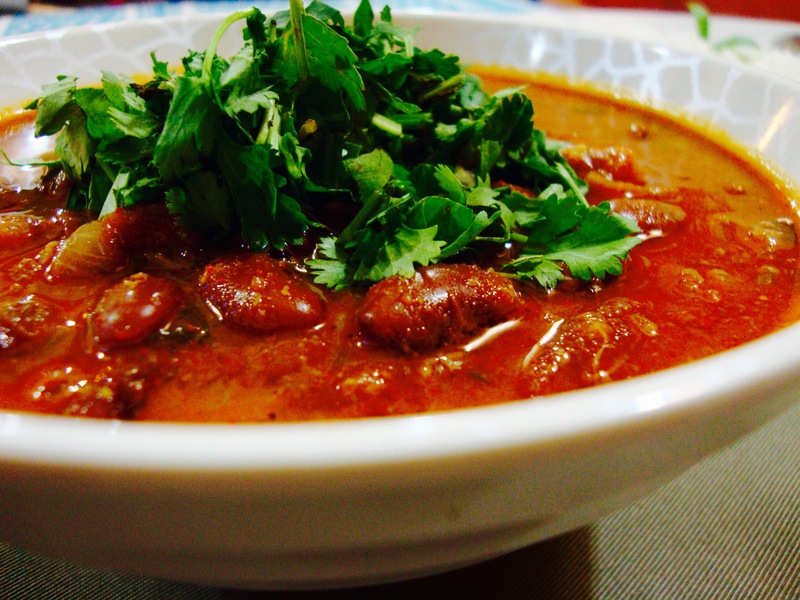 Cook rajma with five cups of water and salt in a pressure cooker till totally cooked and soft. Heat some oil in a deep pan. Add chopped onions and ginger garlic paste and sauté till the mixture turns golden. Add tomato puree and continue to cook. Add coriander powder, cumin powder, red chili powder, turmeric powder and cook till the oil begins to separate. 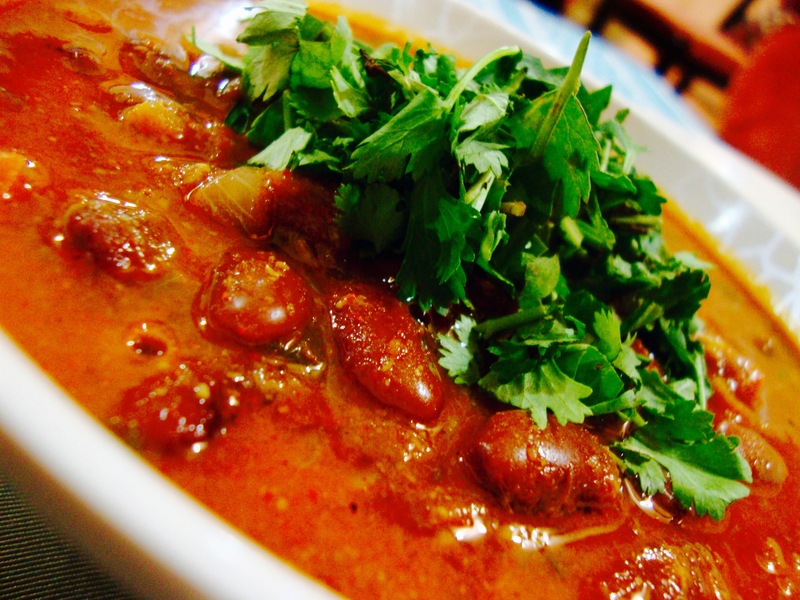 Now add rajma along with the cooking liquor and mix. Adjust salt and add garam masala powder. Lower the heat and simmer for about fifteen to twenty minutes on low heat. Garnish with coriander leaves & serve hot with steamed rice.